Spinal decompression therapy is a non-surgical, comfortable therapy for the relief of back and leg pain or neck and arm pain. During this procedure, by cycling through distraction and relaxation phases and by proper positioning, a spinal disc can be isolated and placed under negative pressure, causing a vacuum effect within it. There are a number of spinal decompression machines presently used in the United States. After significant research, Precision Pain Management Center has chosen to use the Triton DTS machine manufactured by Chattanooga, Inc., the premier manufacturer of physical therapy equipment in the world. Each session includes decompression therapy and spinal stabilization exercises and takes about 30 minutes. 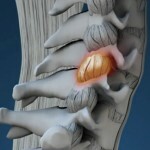 Spinal decompression is usually performed for 24 sessions. Over 80% of patients have significant pain relief. It is covered by most medical insurance. If the Doctor feels your case may be helped by decompression therapy a physical assessment and appropriate diagnostic testing will be performed. For those patients without medical insurance we offer financial hardship payment plans. Spinal decompression therapy can help people with back pain after failed spinal surgery. It can be performed in most patients who have not been left with an unstable spine after surgery. You must wait six months after your last surgery. Simply call our offices and tell the receptionist that you are interested in decompression therapy. An initial consultation can usually be scheduled within 48 hours. Spinal decompression therapy is FDA cleared and has been clinically proven with an 86% success rate for pain associated with herniated, bulging or degenerative discs… even after failed surgery. It is a non-surgical, traction therapy for the relief of back and leg pain or neck and arm pain. During this procedure, by cycling through distraction and relaxation phases and by proper positioning, a spinal disc can be isolated and placed under negative pressure, causing a vacuum effect within it. What can this vaccum effect do? Most certainly! One study documented by MRI up to 90% reduction of disc herniations in 10 of 14 cases! Another study reported that 86% of ruptured disc patients achieved “good” (50-89% improvement) to “excellent (90-100% improvement) results after spinal decompression therapy! The specific treatment plan will be determined by the doctor after your examination and evaluation. Based on CURRENT RESEARCH, the best results have been achieved utilizing a protocol of 24 sessions over a 8-week period. Most insurance companies will cover the treatment. In almost all cases, the treatments are completely painless. In fact, some patients fall asleep during the spinal decompression session. 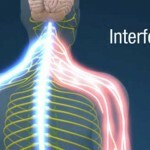 To reduce inflammation and assist the healing process, supporting structures are treated with passive therapies (ice/heat/muscle stimulation), chiropractic adjustments (as indicated) and/or active rehabilitation in order to strenghten the spinal musculature. We want to make it easy for you to learn if you are a candidate for Spinal Decompression Therapy. Simply call our offices and tell the receptionist that you are interested in decompression therapy. An initial consultation can usually be scheduled within 48 hours.